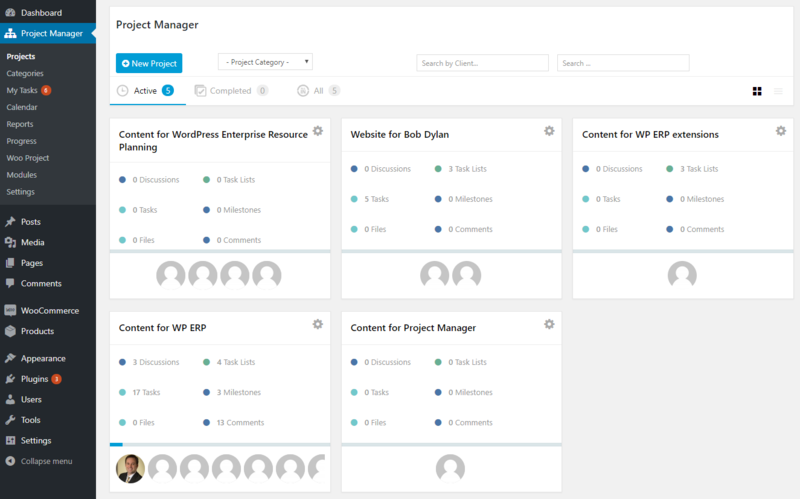 To navigate to the Project Manager Dashboard go to the WP Admin Dashboard → Project Manager. On the dashboard, you will not only be able to see all your created projects but also be able to get options to create a project, search a project according to a certain category or client name and many more. New Project: To create a new project, use the “New Project” button (To know how to create a project go through this documentation). Project Category: If you click on this option, you will get a drop-down list from where you can filter projects according to the project category. To know how to create a project category, view this documentation. From the auto-suggestions shown in the search, you can choose your desired projects and navigate to that project with just a single click. Active: This option shows only the projects that are active or simply the projects that are ongoing. Completed: Selecting this option will show only the completed projects. 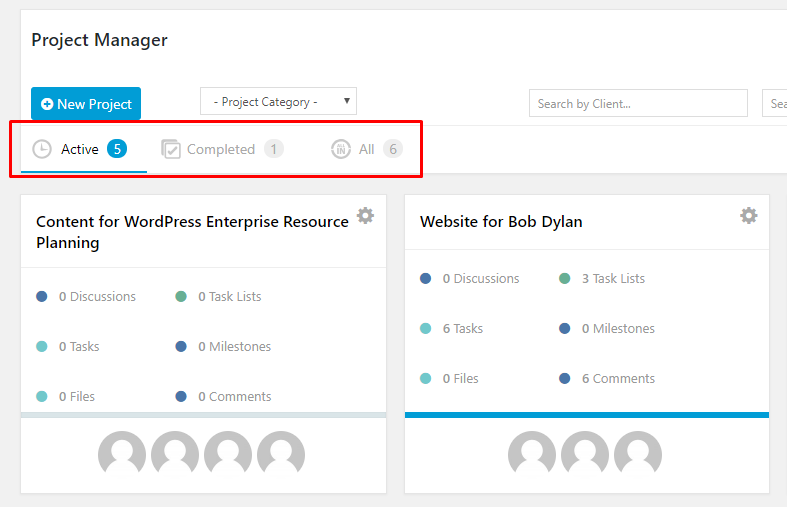 All: This option shows both the Active and Completed projects. 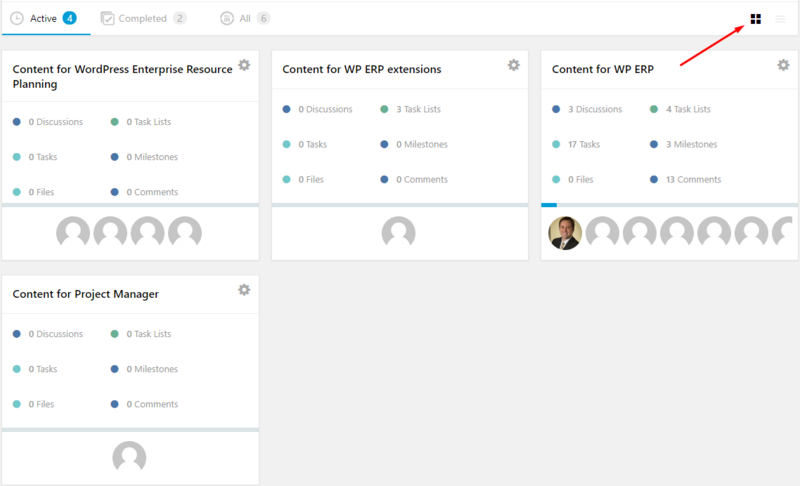 That's all about the Project Manager Dashboard.